I am the adoptive parent of two Ethiopian children, a boy and a girl, both adopted as babies in 2000 and 2002. Ever since adopting them I was unable to forget about the mothers who, in normal circumstances, would be raising the kids I call mine. The fact that they were so far away and had no idea where their children tugged at my heart. Though I grew up in my biological family, I knew without a doubt that I’d want to know where I came from if I hadn't. So I decided to try and find my kids' parents. In 2002 when I actively began searching, there were no guidelines or support systems in place for connecting adopted Ethiopian children with their relatives. I didn’t know anyone who had contact with family in Ethiopia. I had no idea where to start. Since both children came to us with little information, the task seemed impossible. Would I ever to able to find anything out about them at all? I turned to our adoption agency in America first, but the director laughed, telling us there was absolutely no way we would ever find anything. I tried in vain to search on my own. I did simple things like include letters to the agency stating my willingness for contact, along with our post placement reports, though I don’t think our agency director ever forwarded them. Wanting to expose the kids to Ethiopian culture as much as possible, we had tapped into the Ethiopian American community in our area early on, and for several years I asked every Ethiopian I met for advice on how I might go about locating a person in their country. Finally, an Ethiopian man agreed to help. He took our adoption paperwork and sent it to a relative of his in Ethiopia, who was then able to track down one child’s mother fairly quickly. A document in the orphanage had a name on it, and the name led to our child’s mother. The orphanage, Missionaries of Charity, is known to be secretive, so we were lucky to get this document. Once we found the woman we thought was one of our children's mother, we did a DNA test to verify the relationship, and it was a happy day for everyone when the results confirmed what we already believed. At this time the children were 4 and 6 years old. We’ve been in contact with Mom, who I will call Mahalet, since 2004. All of us, including the kids, use Facebook and Viber to communicate. We've taken the children to visit three times as well and are looking forward to another visit soon. At the request of the children I'm not going to discuss personal details, or reveal whose mom we found and whose we did not. That said, I'll share a bit about my own experience meeting my kid's mom for the first time. Our first meeting with Mahalet felt normal and right. She speaks some English, and our driver did also, so we were able to communicate without a great language barrier. My husband and I have always been open about adoption, and the kids had accepted the situation without question as they became old enough to understand. Outside of jet lag and being in a new environment, I didn't see outward signs of distress from them. On the other hand,I experienced what some might call a come to Jesus moment. When we first met Mahalet, I began explaining that the meeting might be overwhelming for the kids, so we might need to cut it short and try again the next day. Mahelet responded calmly, "That's fine. You are the mother." The moment she said those words I understood in my bones that the situation we were in was ultimately tragic and wrong. Don't misunderstand--I love these kids to the ends of the earth and would do anything for them. They are amazing people and I can’t imagine life without them. But I realized in that moment that an institution that tears families apart is profoundly flawed. We visited with Mahalet several times on that trip. On subsequent trips we've rented places with kitchens where we could stay together the whole time. We play card games, shopping, and travel. Mahalet is a fabulous cook, and she makes dinner for us. Leaving is the hardest part. We hold hands on the way to the airport. She calls me her sister. Back at home, our Ethiopian friend continued to investigate off and on for a couple more years, as we tried to find the other child's mother. By 2007, more American families with Ethiopian children began to search for their children's first mothers, using a handful of professionals based in Ethiopia. Some large and influential adoption agencies were telling clients that it was illegal to search and that harm would come to mothers in Ethiopia if they were found. One searcher was imprisoned and others were harassed. In this environment, the process of gathering information was terrifying for us--and for our friend doing the searching. According to the US State Department, there were more than 15,000 adoptions from Ethiopia to the US between 1999 and 2015, making Ethiopia the second most popular sending country between 2009-2012. Ethiopian adoptions to the US peaked at 2,511 in 2010--the result of a opportunity that opened for businesses after 2005, coinciding with the drastic fall in Guatemalan adoptions over concerns about corruption. France, Sweden, and the Netherlands also participated in adoption from Ethiopia beginning as early as the 70’s, and there are many Ethiopian adoptees living in Europe, Canada, and the USA who are now adults, some well into their 40’s. Adoptions from Ethiopia have slowed drastically in recent years, and agencies have closed as the government uncovered more fraud perpetrated by multiple adoption agencies. At the same time, domestic adoption within Ethiopia is becoming more common. Because of interest from the Ethiopian adoption community and stories brought back by travelers about families in Ethiopia begging for news of their children, I started Ethiopian Adoption Connection (EAC) in 2014. 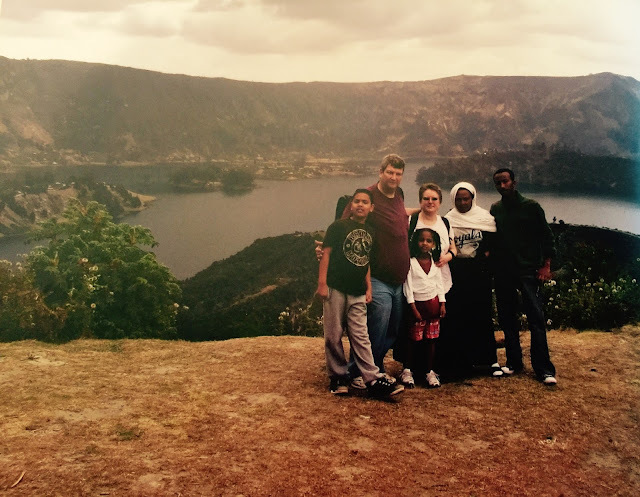 EAC creates a bridge between adoptees and Ethiopian natural families. We are a handful of volunteers running an organization that not only helps children adopted from Ethiopia living around the world, but also helps mothers and fathers in Ethiopia learn what happened to their children. It's now been 14 years since we began investigating our second child’s adoption, and we still haven’t found their Ethiopian family. Over the years we’ve used four professional searchers, traveled to Ethiopia three times, visited to the adoption authorities, gotten copies of court records, met the policeman involved with the case many times, engaged legal help when our agency’s representative refused to hand over documents, been to the orphanage repeatedlly, put posters up, did radio spots, and DNA tested a couple of people who came forward. We still have hope that we will find someone and we continue to try. For now, Mahalet stands in as this other child’s "adopted" Ethiopian mother. "Where is my child now? "Why are my child’s adoptive parents silent? "Do you know about my child?" 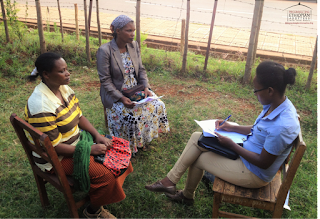 Within Ethiopia, EAC provides social worker led support and discussion groups for Ethiopian mothers and fathers who have lost children to adoption. In addition to receiving social and emotional support, members learn about the system through which their children were adopted, what life may be like in the child’s new home, and what they can expect from potential reunion. Ethiopian parents usually have different expectations after adoption than Western adoptive parents do. In fact, Ethiopian law stipulates that familial bonds are maintained after adoption, which is completely different from the Western “clean slate” concept. EAC strives to provide as much knowledge as possible so that families will have the best chance for successful reunion. A recent field report notes that first families have expressed that they have never before been asked about the children they lost to adoption, and they are happy to have the opportunity to talk about it now. One pressing issue EAC wants to tackle is how to assist the large number of adult adoptees who want to search and visit Ethiopia, but lack support, both financial and emotional. Some don’t even have access to their own adoption paperwork. Our Adoptee Advisory Board and our intern are working with us on resources that we hope will help. EAC has made over 25 reconnections in just two years of existence, each case solved at no cost to the adoptee or natural family. It’s amazing that reconnections can happen between people so far away from each other and with such differences in culture and language. 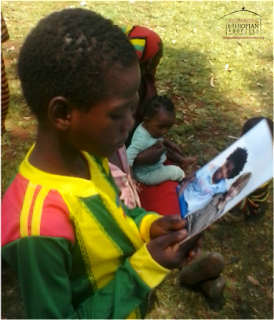 It’s incredibly gratifying to send photos to a mother in Ethiopia who hasn’t seen her child in years, and to see family photos appear on an adult adoptee’s Facebook page when she thought she'd never see them again. Sadly, not all cases are resolved happily. Not all adoptive families want to “open” their adoption. Some believe their adoptions were closed or that their children’s parents were deceased, and they find it hard to handle new information. In these cases, we hope that the details EAC provides will be shared with the child in the future. Ethiopian Adoption Connection is based in the USA and run by an all-volunteer team. Our first partnership in Ethiopia is successfully moving forward in Wolayta, in southern Ethiopia, and we are anxiously anticipating expanding to other areas. I know everyone who has a computer is asked endlessly for money, but if this cause pulls at your heartstrings, please consider donating to this much needed work. It is the vision and hope of EAC that every adoptee has access to his birth information and the opportunity for contact with her family of origin. BE A SUPPORTER OF FMF--WHEN ORDERING ANYTHING FROM AMAZON, DO SO THROUGH ONE OF THE LINKS. THANKS A BUNCH! I was going to remove E of the D from my news feed, due to some of the "news" it posts- some that just doesn't give a bigger picture or access critical thinking. This, however, is an excellent article that reflects much of what is happening and how families are finding ways to bridge the deep loss and sadness that comes with adoption in general, but with the tragedies of E adoptions specifically. Hi Keke. Could you give some examples of things that you don't like about E of the D group? Do you feel it's not critical enough of the whole process? It it run by an adoptee or adoptive parent? I am also an adoptee. E of the D is an adoptee page called Ethiopian Adoptees of the Diaspora located here: https://www.facebook.com/Ethiopian-Adoptees-of-the-Diaspora-313747515499643/. It's a separate thing from EAC. It's important for adoptive parents to listen to what adult adoptees have to say - adoption is not all roses for children and they do grow up. Glad you liked this article. What if the adoptive families don't want this information? The adoptive "families" or the adopted individual? Why wouldn't the individual who has been uprooted from his homeland want this information? Your question means you are talking about the adopters, not the individual. A person is not a pet you went to Africa to get because you were afraid of the mother and child connection. Yes but if the child is a minor, what if the adoptive parents don't want to be contacted by the birth family? Exactly. The adoption is closed. End of story. How do we know these people are even telling the truth? Maybe they just want to make some money off us? So you are going to wait until the child is 18 or 21 or 25, and then let him see for herself if there is any family? When the possibility of finding anyone is more remote. Clearly, you do not care about the child as an individual. Only as "yours." as an adoptee, i think it is pretty selfish for adoptive parents to deny contact with blood relatives. The child will want the information, even if they don't talk to you about it. It's best for adoptive parents at the VERY LEAST to keep this information for the adoptee if they are unwilling to pursue a relationship while the child is a minor. Well written article on a topic I knew little about before meeting Andrea. 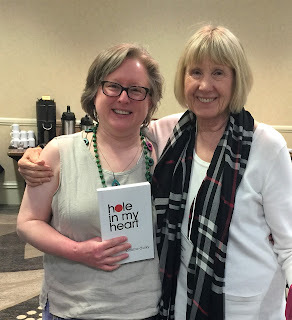 She is a wonderful resource on Ethiopia and adoption. Thank you Pam and Marilyn! Wow. I'm really shocked. I saw this story online. My Ethiopian child has asked a few questions about their Ethiopian family over the years. I can't answer because they are all dead and that's all the adoption paperwork said. I ask my agency about trying to found out more and they said it was illegal! Is this really legal to search like this? And if my child's family is all dead how would listing online even matter? Whether or not your child's family is "dead" as the agency says is possible. It is just as likely as a lie. Anonymous, adoption paperwork is notorious for being deceitful. Assume your child's parents are living before you assume they are dead if you don't have anything to go on other than the adoption papers. Anon, it's not illegal to search and have contact with your child's natural family Please read the Ethiopian law, Chapter 10, Article 183. I'm always reminded of this video when someone says they were told their internationally adopted child's parents were dead. I've watched it a lot over the years... I still get misty every time. Americans buying poor children from Africa. What could possibly go wrong? Why would any decent person want to buy an innocent child from a poor country like Ethiopia, where adoption corruption is rampant and where many times children have been taken from their mother or father under false, misleading, fraudulent pretenses and then harvested like an export crop, a very lucrative export. First red flag is a very wealthy country doing "business" with an extremely poor country. With this type of power imbalance, usually the poor are exploited, taken advantage of, and defrauded of their children. The adoption system is also laced with unscrupulous middle men and adoption agencies wanting their big slice of the financial pie. Why would any decent, moral, ethical person want to be associated in any way, shape, of form in separating and stripping a child from their natural family, culture, country, and native language? Is it because Ethiopian adoptions are half the price of American adoptions and is a real bargain? Is it to ensure the pesky poor birth mother will be unable to have the means or know how to ever track down her child in affluent America? Is an American woman really THAT desperate to buy someone else's child? Many of these children already have a living mother and or father or extended family, albeit very poor, who was lied to and coerced or scammed into signing papers they may not were even able to read (if illiterate). Some parents have said they were told that their children were going away temporarily to be educated and would return before long. With all the homeless children in America, it makes me wonder about the greed, selfishness, and downright cruelty of those who adopt poor children from a very poor country known for adoption corruption. Thought about this several times as I watched "Roots" last night on television. This is further proof that adoptee's are mere commodities, whose lot in life is to cater to the needs of adopters and hopefully filling that big childless void. These foreign children have no say in losing all and being shipped to a strange new world with new owners, papers and all. What a sick world we live in. 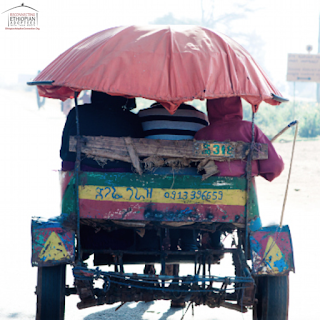 Dear FMF peeps - I thought you might like to read about my recent trip to Ethiopia. I had the opportunity to meet a lot of the parents we work with there. The second link is to some scenery photos from the Wolayta Zone.